Traditional baked mooncakes with grains in white lotus seed paste feature in The Ritz-Carlton, Millenia Singapore’s repertoire this year — with pumpkin, sunflower and sesame seeds, walnuts and oats for a wholesome flavour. The light lotus seed paste is well balanced by the amount of grains, creating a treat that boasts a pleasant level of texture and sweetness. These mooncakes from Feng Shui Inn at Resorts World Sentosa come packed with healthful house-aged organic black garlic blended with white lotus and custard paste — and is a low-sugar option to boot. Getting a boost of antioxidants from consuming mooncakes could be our new favourite thing. The Mini Eight Treasures mooncakes from Shang Palace comprise two varieties — red bean with almond, and low-sugar white lotus seed paste with quarter yolk. The latter is a classic flavour reintroduced this year in a mini version, which is perfect for peckish folks with a smaller appetite. Fans of Jiang-Nan Chun‘s signature Peking duck will dig its smoked duck with assorted nuts and lime mooncake, one of the stars at the Four Seasons Hotel Singapore establishment. 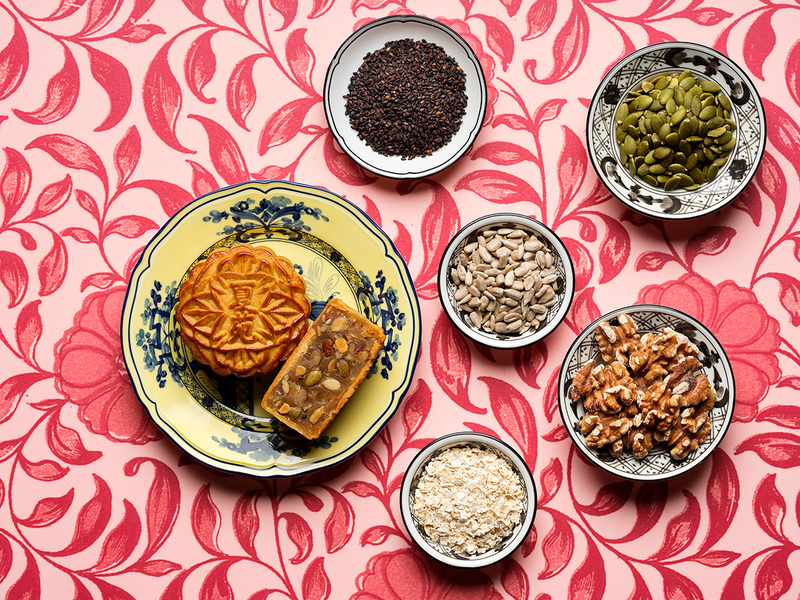 Other limited-edition creations include the osmanthus oolong tea paste and melon seed mooncake, and Fuji apple paste with melon seed and single yolk mooncake. Li Bai Cantonese Restaurant may have finally gotten in on the salted egg yolk trend with its new mini salted egg custard mini mooncake, but its classics remain reliable favourites. There’s no going wrong with white lotus seed paste mooncakes with double, single or no yolk; those packed with mixed nuts; and yam paste mooncakes with single yolk in flaky pastry.